Google’s recently unveiled Google Home Mini speakers have landed into trouble, before even hitting the sales shelves. According to Android Police writer Artem Russakovskii, his Google Home Mini review unit had been incessantly recording everything happening in the surrounding and sharing that with Google. The company was quick to respond to the issue and has already deployed an update to stop the vulnerability. Well, the vulnerability was found in the three touch sensors on top of the device. Google’s software update for the Home Mini has temporarily disabled these sensors. Smart speakers like Home Mini are made to respond to hot words like “Hey Google” or “Ok Google.” After these commands, the microphone on the device records what comes after and then transmits the information to the cloud for answering your queries. Also, users can hit the button on the top and ask any question. Apparently, the review unit handed over to Russakovskii was malfunctioning on the touch sensor level. It assumed that the user is holding the top of the device to ask a question, and hence it randomly activate and recorded everything going around. However, the alarming part in this whole snooping episode is that the Home Mini didn’t make any noise while recording the sounds. It did blink the lights when recording the sounds, but no audible tone. Due to the lack of informing capabilities on Home, the error was discovered when Russakovskii went through Home’s search history. As we mentioned earlier, Google was quick to take up the matter and pushed an update to fix the issue. Google has made alterations to the software so that the touch panel won’t activate the Assistant functions. It will only respond to the trigger words now. 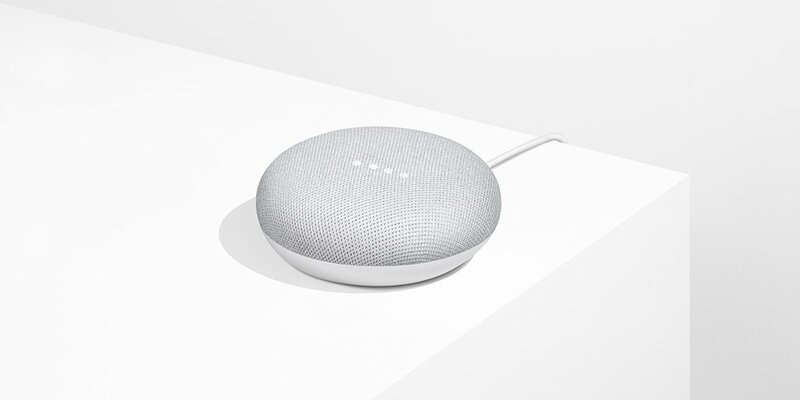 The issue prevailed over the few initial units of Google Home Mini, including the ones that were distributed as review units. A vulnerability like this reflects poorly on Google’s hardware though. Some people already have doubts on the smart speaker functionality as it sends the information to the cloud and shares data. And issues like these trigger the notion further. Good news is that Google was partially able to fix the issue before it panned.